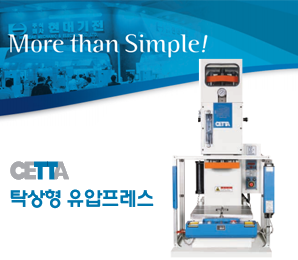 (주)씨티엘은 6월 26일(화)부터 28일(목)까지 경기도 고양시 일산 킨텍스(KINTEX) KINTEX 1전시장, 3,4 Hall에서 개최된 ‘제 16회 국제 LED & OLED EXPO 2019’에 참가했다. (주)씨티엘은 1993년에 설립되었으며 LED패키지 및 LED관련제품 전문 제조 기업이다. 자동차용 및 조명용 LED패키지를 직접생산하고 있으며, LED응용제품인 LED조명 및 자동차용 LED모듈로 생산중이다. 한 편 제 16회 국제 LED & OLED EXPO 2019에서는 LEDs & LED Lighting Products, LED Chips / LED Components, Accessories & Raw Materials, LED Signage & LED Displays, Micro-LED Allied Products, UV(Ultra-Violet) LED Applications, LED Applications, LED Manufacturing Equipment / Machinery / Fixtures & Allied Products, Testing Laboratories & Research Organization, Smart Building + Electrical Engineering, Photonics 전시품목을 소개했다.